This is a recipe my family has made for ... gosh, 30 years? More, maybe? I don't know, but a really long time. It's so easy and so delicious, and every time I make it, people ask what's in it. 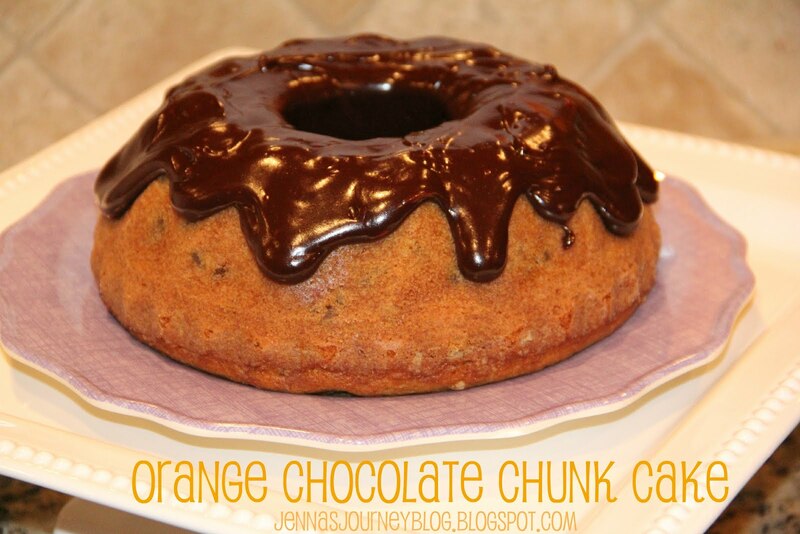 It really couldn't be more simple - it's only 4 ingredients, but so, so delicious. Thaw your spinach out completely. Using you hands, take handfuls of the spinach and squeeze all of the juice out into the sink. Place drained spinach in a bowl. Add in soup mix, sour cream and mayo. Mix WELL! Chill several hours or overnight before serving. 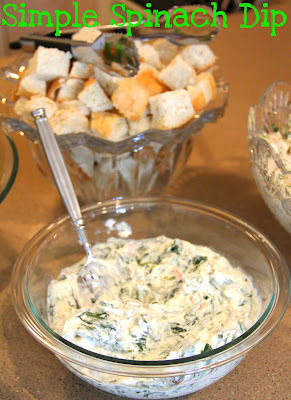 Serve with sourdough bread cubes. Last week was insanely busy, and part of it was planning for my friend Brittany's baby shower! Her baby girl Bella will be here soon! And there were cupcakes and parfait for dessert. The twizzlers were one of Brittany's cravings! Jennifer made these adorable centerpieces. 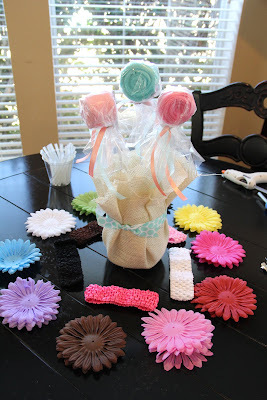 The rosettes are made from baby washcloths. We did a craft as well - each guest could make a flower hair bow for baby Isabella. I made the most girly, over the top hair bow. What can I say? I have two boys, and I needed to indulge in the girly craftiness! Here's the mom-to-be making a red, white and blue hair bow! The gifts! And the onesies were one of the hostess gifts. They have the month stickers on them for picture taking (the rest of the stickers were in her gift bag). It was an adorable shower and we can't wait to meet Miss Isabella! Lately I've gotten a lot of emails about baking gear and what I specifically use. 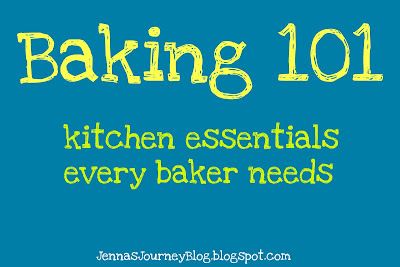 I've put together a list of some kitchen essentials to help answer that question! 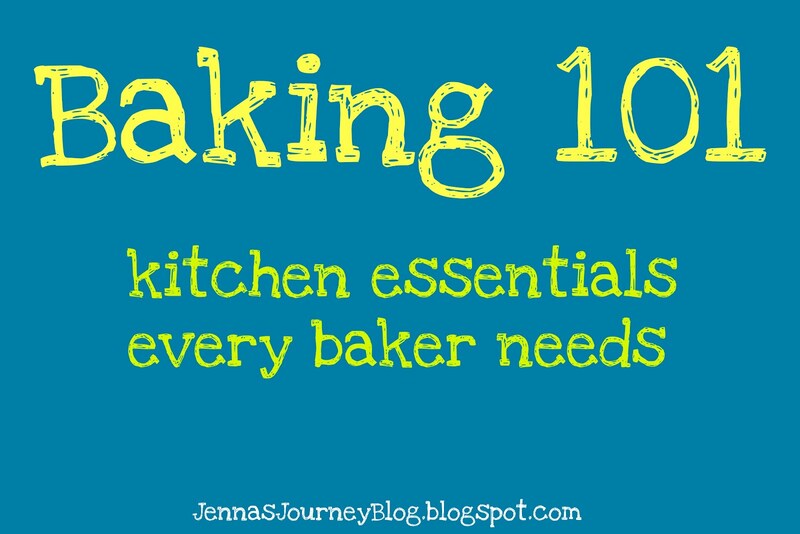 I thought about making this a post about ALL of my favorite kitchen gear but it would have been way, way too long, so this post will only focus on baking. If there's interest, I'll do another one that is focused on cooking. I love my mixer. I use it for batters, dough, bread, and for shredding chicken. Okay, so that's not baking related. Hands down, the question I've been asked the most has to do with the attachments for the mixer. 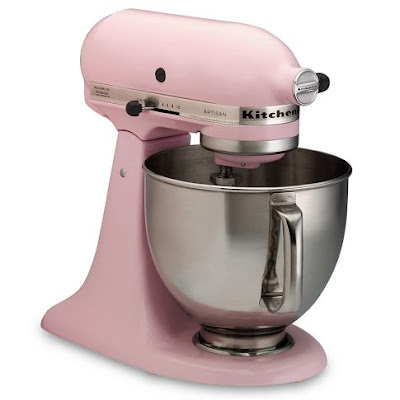 Generally, mixers come with three attachments: the paddle, whisk and dough hook. The paddle is used for batters, cookies and cupcakes. The whisk is for mixing up egg whites into a frothy meringue or making homemade whipped cream. 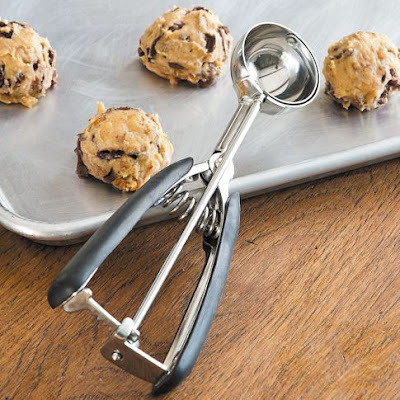 The dough hook is for making bread. I've mentioned my scraper paddle attachment before. It's the same as the regular paddle but with a rubberized coating on one side, so it continuously scrapes the bowl as it mixes. I highly recommend it! Next up, you need three sets of measures (pictured are two). 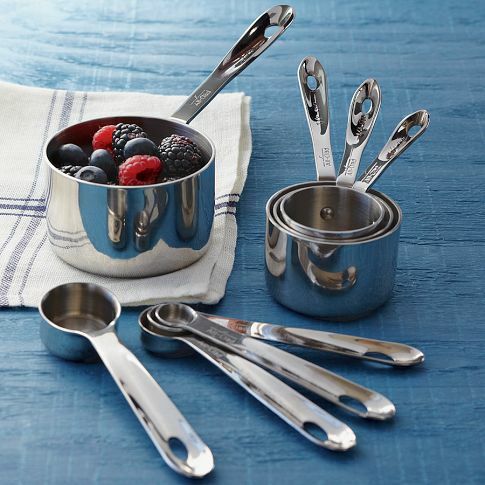 You need a teaspoon/tablespoon set, a cup set and a liquid measure. You never want to measure liquids in a solid measure or vice versa - they can actually come out to two different measures. I also have a set of offset measures that my dad bought me. I LOVE THEM. 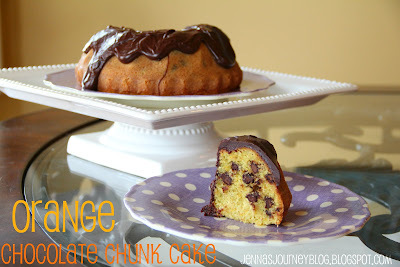 If you are serious about baking, you should invest in some. They are measuring cups for 3/4 of a cup, 1 1/2 cups and 1 3/4 cups. Awesome. 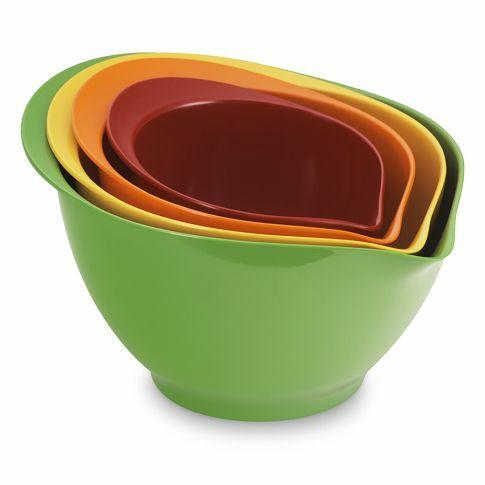 Of course you will need mixing bowls to. These are my favorite ones from Williams Sonoma. The great thing about these are the spouts - making pouring any liquids out SO easy. They are also really durable, easy to clean and have a rubber circle on the bottom, which helps them stick to the counter and not walk around when you are whisking or mixing. 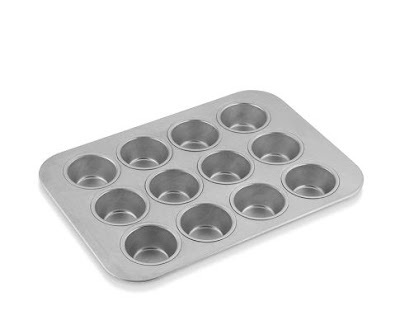 Muffin tins - you may have seen my Nutella Cupcakes post recently wherein I chucked my silicone muffin tins. They did not bake well or evenly, but standard muffin tins like these work great! 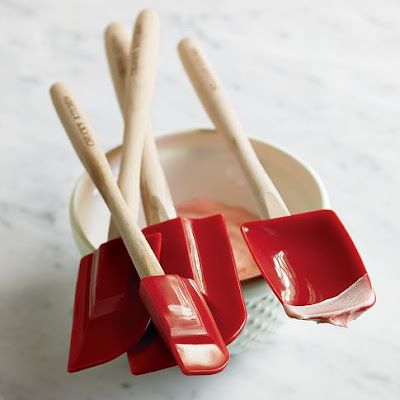 You'll need some silicone spatulas like these - they are great for scraping down bowls and getting every last drop of batter into a cake pan. These are my favorite baking sheets. I've mentioned my quest to make the perfect cookie many times over the years, and these baking sheets have a lot to do with the way my cookies turn out. 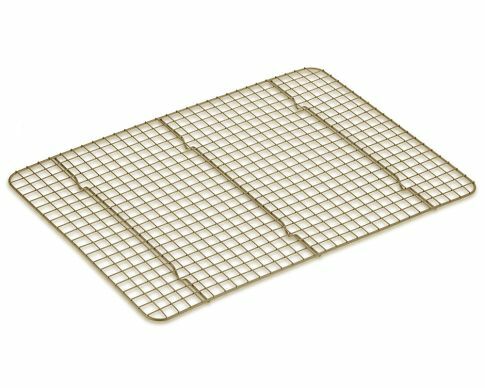 You never have to line or grease them and while they are a luxury as far as baking sheets go, they are simply the best I've ever seen. 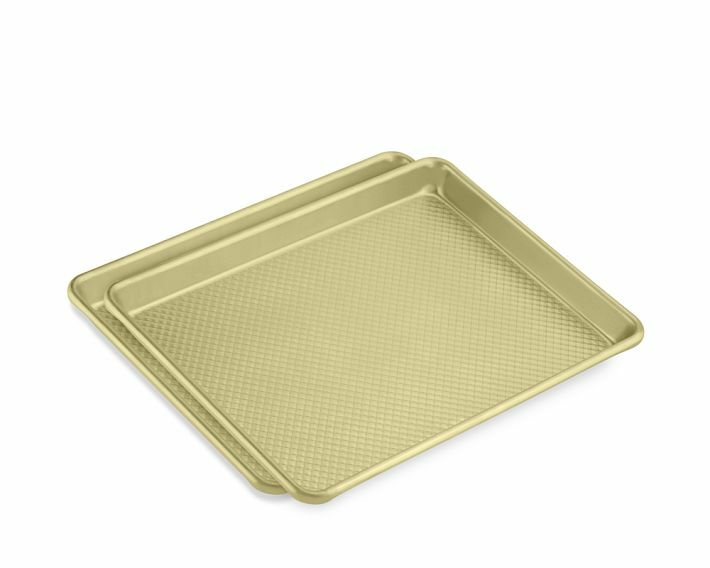 They are called Goldtouch by Williams Sonoma and they will change your life. Or at least you baking. Ice cream scoops! Well now, companies seem to be renaming them cookie scoops, but whatever, same difference. Why are these important? Because in order for everything to cook evenly and for the same amount of time, they need to be the same size. I have a few sizes of them and I use them for measuring muffin and cupcake batter into liners as well as cookie dough. Cooling racks: It's important to properly cool baked goods and there are several kinds of racks available. My favorite looks like the one above, which has small squares on it. Others just have long lines of metal and if you make something small or delicate (flimsy) they will fall through the slots unless you have one like this. 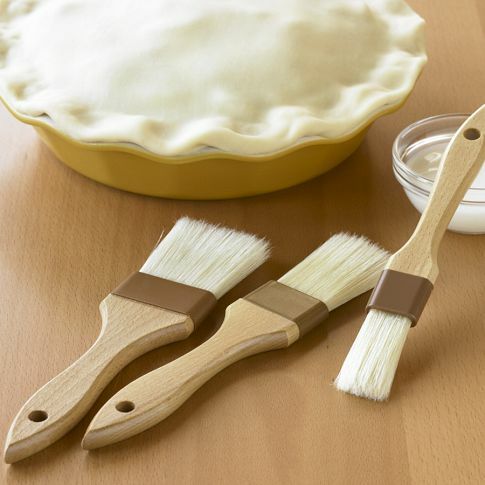 Pastry brushes are a fun little kitchen tool as well. You can use them for egg washes on a pie crust or water to seal two pieces of dough together. Wooden spoons of various sizes, some solid, some with slots. Food processor - sometimes for filling ingredients and also for pie crusts. Toothpicks! You need these to check the doneness of your baked items. French rolling pin. There are lots of rolling pin variations but this is my favorite. Microplane: great for zesting oranges, lemons and limes. I hope this answers a few of the questions I've received but if I missed anything feel free to leave me a comment! My parents were kind enough to keep our boys on Friday night so that Chris and I could go on a date. There is a new restaurant in town that we were wanting to go try out and it was DE-licious! I had little sliders but the star of the show had to be the truffle fries. I hate mushrooms with the exception of truffles (of course, right?) and these freshly made fries were slathered in truffle oil. I will not admit to eating the ENTIRE pile of them. After that we headed to our outdoor mall because there is a crepe and smoothie place that we were going to have dessert at. There is no picture. Why? Because I had a banana nutella crepe and I just couldn't bear to let it sit on the plate while I took a picture of it. But trust me, it was every bit as good as it sounds. Since we're old and we're parents we didn't do any shopping for ourselves, but we managed to get the kids some new spring clothes. Ha. The next morning we went to a new place on our town square for breakfast. I was incredibly excited because they had a prosciutto breakfast sandwich. If you know me, you know that I have a deep, meaningful love for prosciutto. It will always hold a place in my heart. Or in my stomach, whatever the case may be. I had a gigantic and delicious hot chocolate with my breakfast and Chris had a gigantic, and according to him, delicious latte with his chorizo breakfast tacos. This was the best non-homemade breakfast I've had in a lonnnng time! 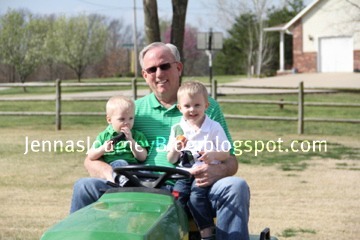 Brayden loves riding on John Deere's so GrandDaddy was taking both the boys for a ride around the neighborhood. Too cute! We took the kids home for their naps then ended up back at my parents for the traditional corned beef and cabbage dinner that we always have on St. Patty's Day (with the exception of last year when my mom severely disappointed us all and didn't make it. I don't think she will ever make that mistake again, haha!). One thing that you may or may not already know about me is that I am a big-time allergy sufferer. Ever since I moved to Arkansas from California, I've had horrible, awful allergies. Last year I had over 10 sinus infections alone. I think I might just be allergic to everything in this state. The trees, pollen, dust, animals - I am allergic to it all. Something my doctor always suggests when I'm suffering with allergies is using a nasal spray. I have tried just about every kind made - be it a prescription version or the over-the-counter kinds. And my very favorite nasal spray is from Similasan. 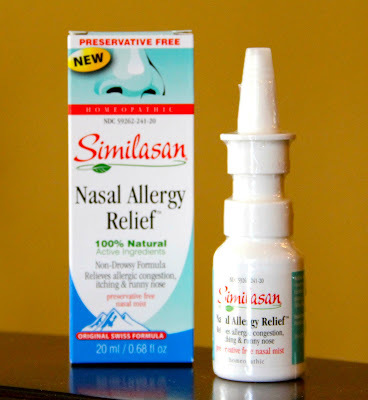 For this review I was sent some of Similasan's Nasal Allergy Relief, it is an all-natural, chemical- and preservative-free nasal mist that offers allergy sufferers safe and effective relief without having to worry about rebound effect or reliance (like some over-the-counter nasal sprays). This past week I had a horrible sinus infection and bronchitis and this was one of the first things I started on. It makes such a noticeable difference in my sinus drainage! This is definitely a product that I can rely on throughout the horrible allergy seasons...which for me means fall, spring and summer, haha! Similasan's Nasal Allergy Relief homeopathic nasal mist stimulates the bodies own natural ability to relieve symptoms that come with nasal allergies. That means goodbye runny nose, itching and/or burning of the nose, sneezing, congestion, acute and chronic rhinitis, allergy-related post-nasal drip and allergy-related sinus pressure! In fact, it is one of the only medicated preservative-free nasal decongestants for nasal allergies available. The best part is that you can find it at Walgreens and all the major online retailers. Similasan products are all produced to the highest quality standards in Switzerland and all use only 100% natural active ingredients. I'm so glad to have found something that is not only a natural, preservative-free product, but also works SO well! I can't change the area that I live in, but I can combat the pollens, mold, and other allergens that cause my sinus drainage with Similasan's Nasal Allergy Relief! How do you prepare for the Spring season? Tell me about it in the comments for the chance to win a $100 Visa gift card! This sweepstakes runs from 3/14/12 - 5/13/12. 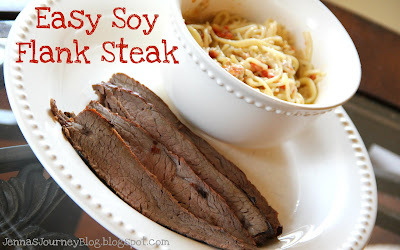 Check out the Similasan page on BlogHer.com for more blogger reviews and chances to win! I got the chance to go shopping with my mom and without the kiddos this weekend. It would be hard to find someone happier than I was this weekend, haha! I always enjoy shopping with my mom. She is honest with me and will tell me when things do or don't look good on me which I appreciate. I bought a few dresses (gasp!) and some shirts, but my favorite purchases are these three pairs of cute shoes! I used to wear heels every single day, and then I had kids, so I'm more of a flats kinda gal now, with the exception of some wedges. I'm not the most coordinated person on the planet and so I don't like to carry my kids around in heels but I feel pretty sure footed in wedges. Plus, I'm 5'8" so I look ridiculously tall in some heels! Have you bought any cute shoes lately? I mentioned on Twitter that I was making this delicious snack for my kids and got a few requests to post it - it is unbelievably easy, but Brody and I love them! Brayden and Chris...well, it's not their favorite, but it's a healthy snack that Brody will eat, so I will make it anyway. Oven Temp - there are two ways to do this. 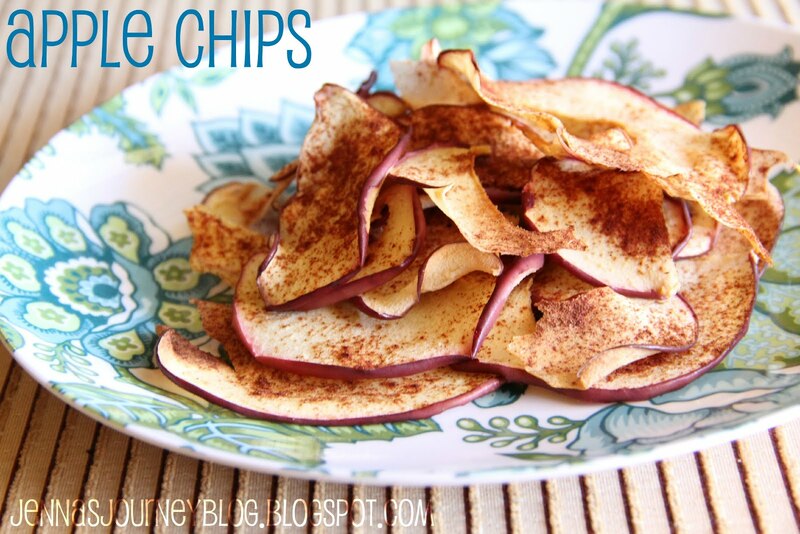 If you want super crisp "chip-like" chips, then set your oven to 375. If you like them to still have a little bit of an apple bite, set it to 350. Core your apple and slice using a mandolin for thin, even slices. Place on a parchment lined baking sheet and sprinkle with desired amount of cinnamon. If you're baking them at 350, bake for 15-20 mins. If you're baking them at 375, bake them for 25-30 min's for a crisper chip. Heat the oil over medium-high heat in a Dutch oven. Add the turkey, onion, and garlic. Salt and pepper the meat and onions while stirring. Cook over medium-high heat, stirring occasionally, until the turkey is crumbled and browned, about 10 minutes. Add the broth, tomato sauce, salt, basil, parsley and red pepper flakes. Bring to a boil then reduce heat to a simmer, stirring occasionally for about 20 minutes. Add the noodles; bring to a boil. Reduce the heat and simmer, uncovered, stirring occasionally, until the soup thickens slightly and the noodles are tender, 10 – 12 minutes. Remove from the heat; stir in parmesan. Separately, turn your broiler on to 450 degrees. 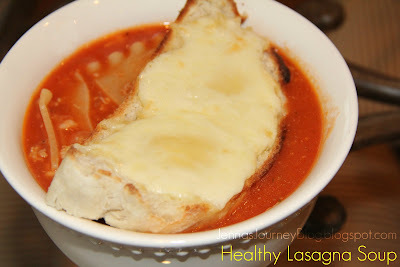 Slice freshly baked or bought bread (French loaf works well) and top with plenty of grated Monterey Jack cheese. Broil until cheese melts. Top soup with one slice of cheesy bread. Brody's favorite toy is this stuffed bunny rabbit. I have no idea where it came from - in fact, it may have even been one of Brayden's that he just didn't play with. Anyway, he LOVES this bunny - as you can tell from the pictures. Here's the problem. It was the first toy I let Brody keep with him in his crib, because it's small and whatnot, and as a safety precaution, I cut off ALL of the tags. I didn't want his little fingers to get stuck in them or something. Now I need to replace this bunny - of course I'll keep this one, but I'd like to get him another because I think this rabbit is one more wash away from falling completely apart. I've given him probably 5 other bunnies and he always knows it's not the same. He wants THIS one. But I don't know who made it or even where we got it. I'm hoping someone out here can identify this rabbit so that I can buy a backup! So, take a look, and if you happen to know who makes it or where I can order one from, PLEASE let me know!! Thanks!!! I've been wanting to find a good Pasta Vodka recipe for awhile now. It's such a rich, hearty dish, and it works great as a side or a main course. I bet you could even put it in a 9*13, top it with breadcrumbs and bake it like Ziti. Yummy. 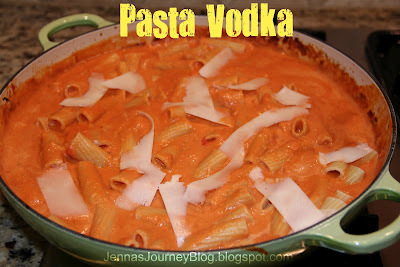 So I was watching one of my all time favorite food tv shows, Barefoot Contessa, and she had some guests on who made their version of Pasta Vodka. I tweaked it a bit and ended up with something my family loves. I hope you like it to! Heat the olive oil in a large oven proof saute pan over medium heat, add the onions and garlic and cook for about 5 minutes until translucent. Add the red pepper flakes and dried oregano and cook for 1 minute more. Add the vodka and continue cooking until the mixture is reduced by half. Meanwhile, drain the tomatoes through a sieve and crush them into the pan with your hands. Add 2 teaspoons salt and a pinch of black pepper. Cover the pan with a tight fitting lid and place it in the oven for 1 1/2 hours. Remove the pan from the oven and let cool for 15 minutes. Meanwhile, bring a large pot of salted water to a boil and cook the pasta. Drain and set aside. Place the tomato mixture in a blender and puree in batches until the sauce is a smooth consistency. Return to the pan. Reheat the sauce, add enough heavy cream to make the sauce a creamy consistency. Add salt and pepper, to taste, and simmer for 10 minutes. Toss the pasta into the sauce and cook for 2 minutes more. Stir in 1/2 cup Parmesan. Serve with an additional sprinkle of Parmesan and shaves of Romano.